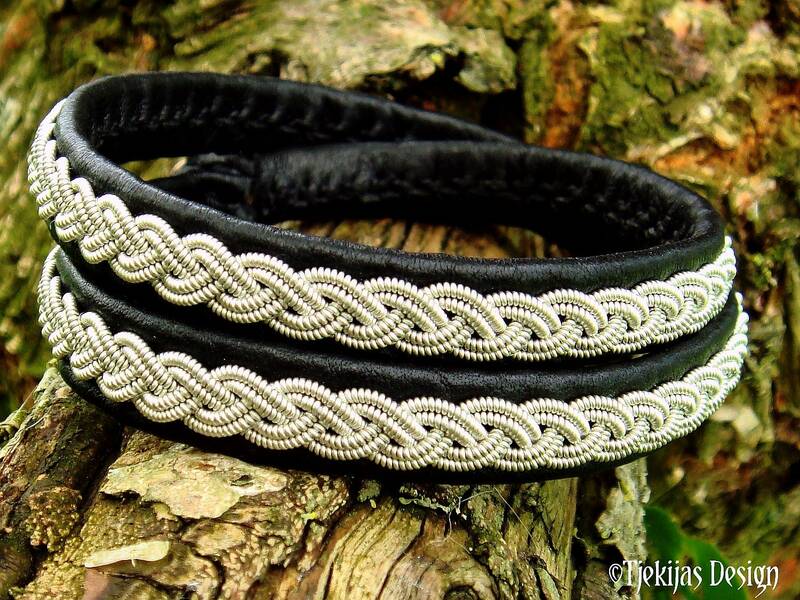 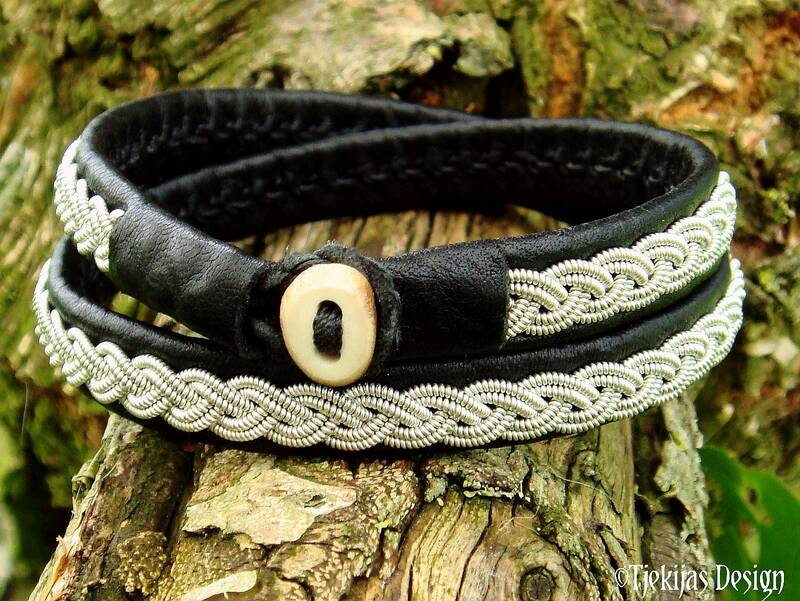 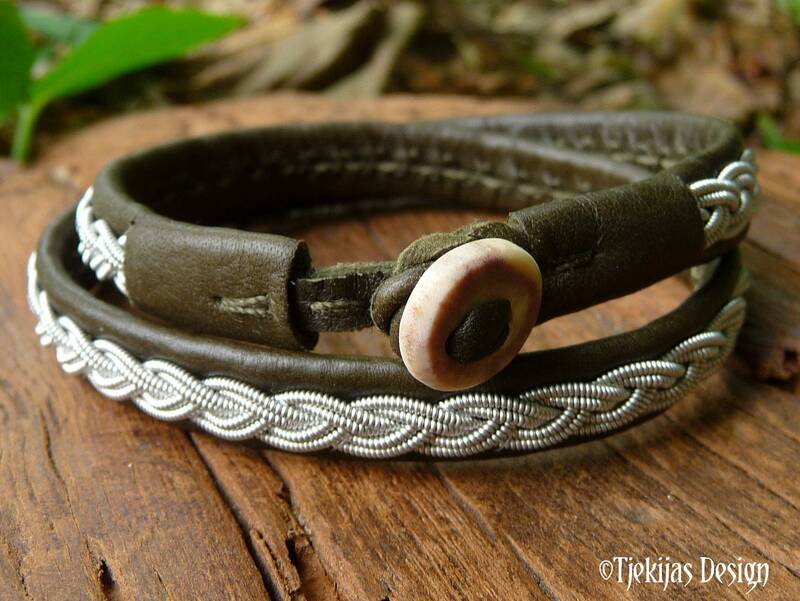 Pewter silver braid, carefully hand sewn on vegetable tanned reindeer leather or lambskin, and completed with a hand cut reindeer antler button. 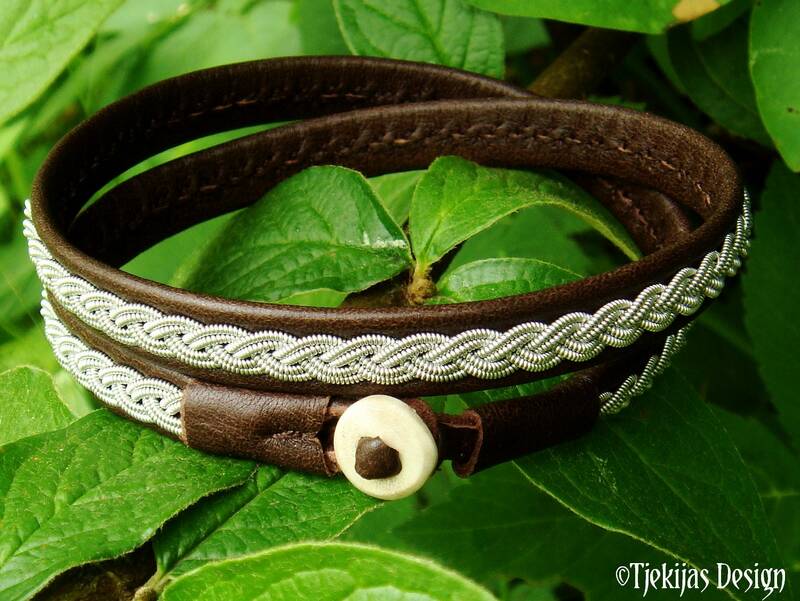 SIZE: Please measure your wrist and choose that measurement from the drop down menu. 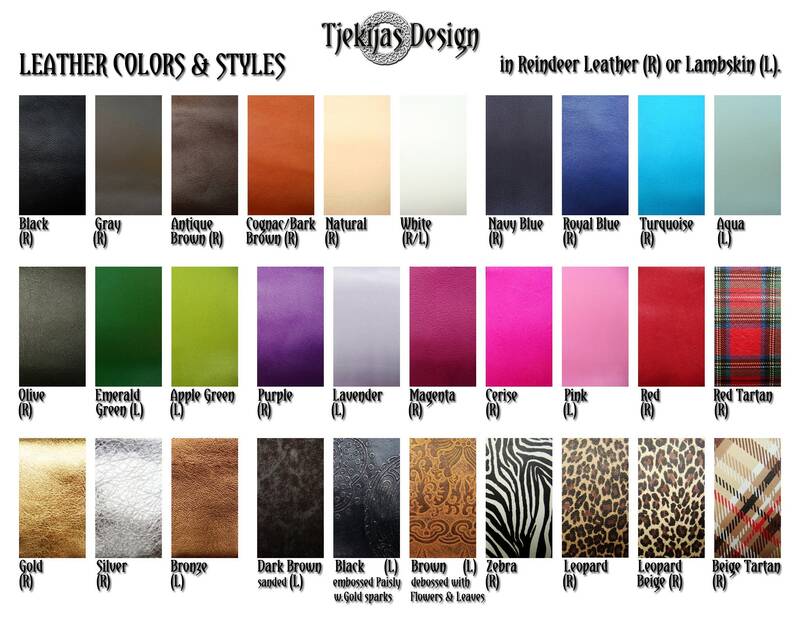 PLEASE CHOOSE leather color from the relevant drop down menu. 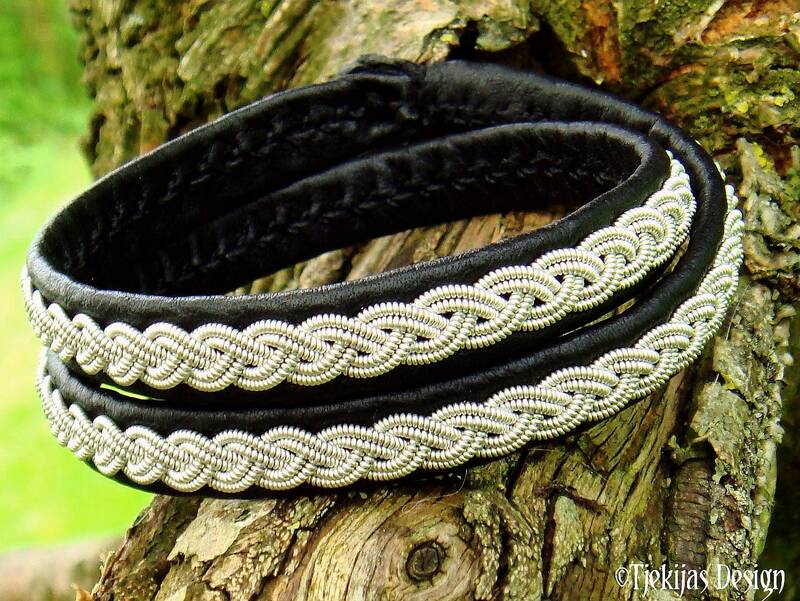 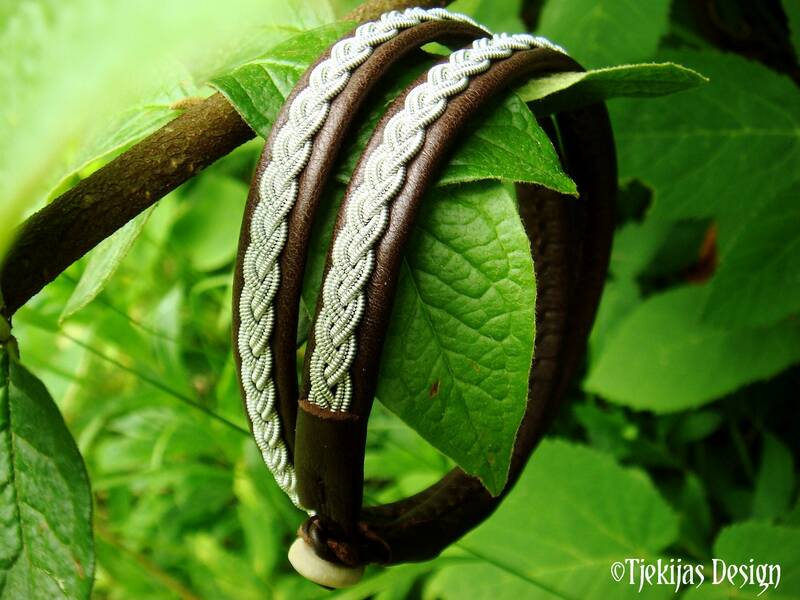 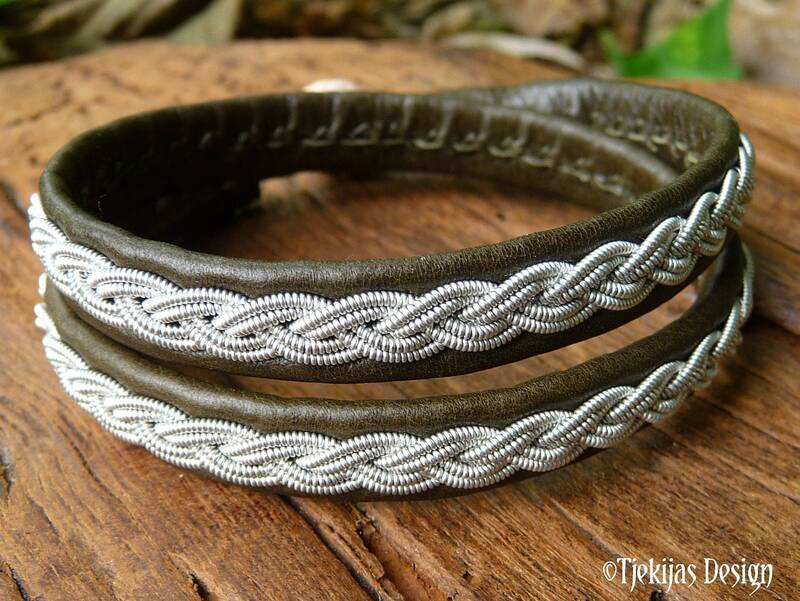 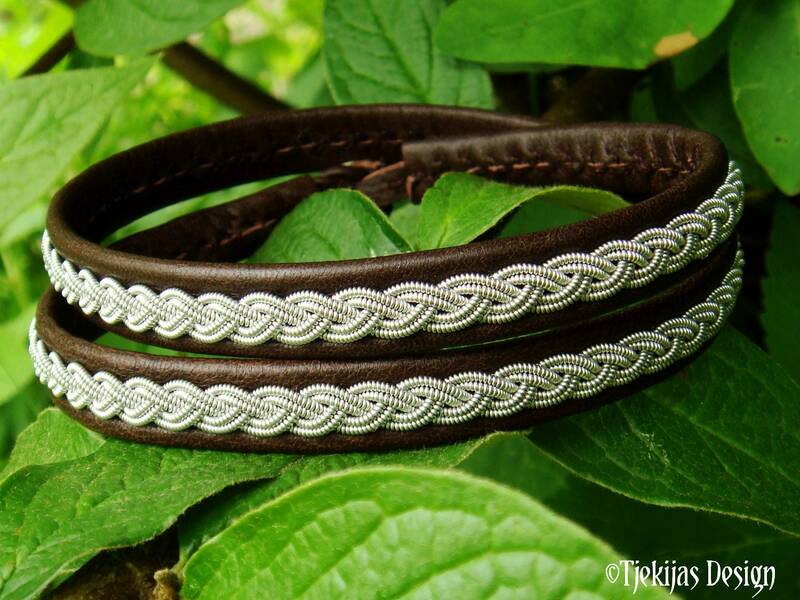 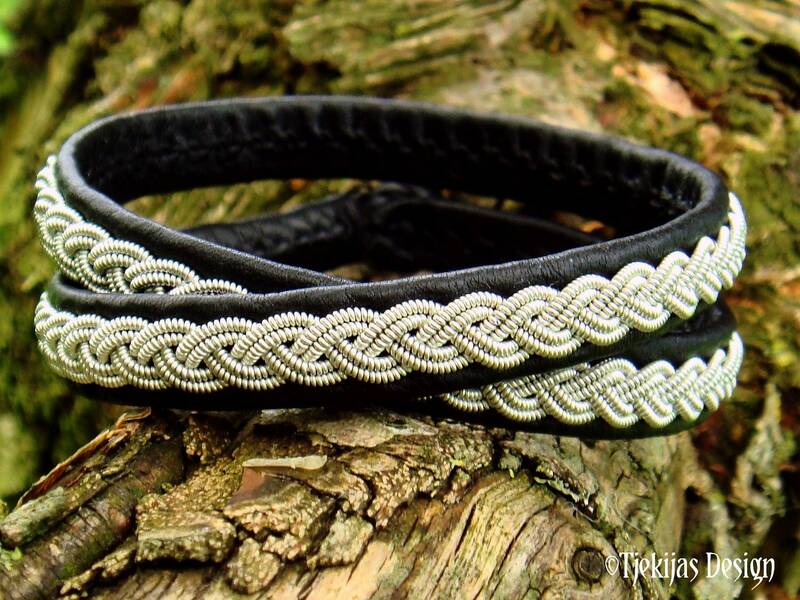 Your new double wrap Lidskjalv Sami bracelet normally ships within 3-4 days from received order.